So you’d like to be a YouTube millionaire, with a massive following subscribing to your channel, watching your videos, and buying your merchandise. YouTube ought to come with a warning label: Caution, success isn’t nearly as easy as it looks. Gampp’s rise demonstrates just how much work goes into YouTube success. At the same time, her path offers marketers a roadmap to spinning YouTube gold. The first thing to know about Gampp is that she is part of a team of three women, along with Jocelyn Mercer and Connie Contardi. Gampp is the on-screen talent, and her two partners provide the essential branding and content background. Mercer and Contardi have been television executives for years, whose business model consists of finding great talent and pitching shows to networks. This was the case with Gampp, a lifelong designer and baker of extraordinarily creative cakes who received a season’s worth of exposure on a Canadian network show, only to discover that the show was not renewed. Mercer and Contardi, undeterred, recognized that Gampp could be a megastar, if only she had the right vehicle. And that’s when they turned to YouTube. “Television is a grind,” Gampp admits. “But YouTube is even more of a grind. With TV, you’ve got to do a show every week for a certain number of weeks, but then you go on hiatus. You get a break. How To Cake It appears to be in no danger of losing its audience, which they painstakingly built, one social media platform at a time. Mercer says that although YouTube subscribers and views were the main metric, they didn’t try to conquer every social media platform at the same time. The tricky thing about YouTube is that you build an audience when you have the least amount of experience and exposure. You get better over time, but if the initial audience doesn’t fall in love with you, it will be hard to attract people who see how much better you’ve gotten. “Yolanda was an introvert when we started,” Mercer says. “She never sought fame for its own sake. She loves baking, and she loves cakes, but it was never about developing stardom for its own sake. It also helps to choose a great role model for your success. Gampp has always admired Martha Stewart, and a seminal moment for her was when she encountered the multitalented TV star, author, and style guru in a green room prior to a TV appearance. “It was phenomenal meeting her,” Gampp recalls. “What I admire about Martha Stewart is that she always went with what she had, and she changed with the times. She always moved into whatever was hot, and she never looked back. That’s true whether it was magazines, books, or television. 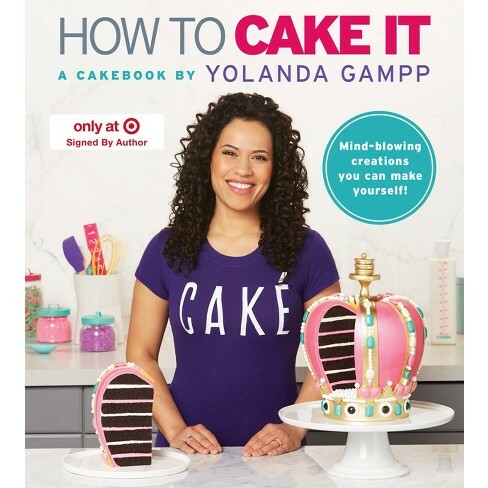 Stewart’s example inspired the How To Cake team to branch out from videos into merchandise—Cake tees, clothing, and a new book published by HarperCollins that is just as meticulous about cake baking as is its author. The other reason for the channel’s success? It’s fun. “Connie and I always wanted the videos to be entertaining,” Mercer said. “We never intended this to be a straightforward, educational baking channel. Instead, Yolanda is so much fun, and we wanted the viewers to have fun with her. That’s the real secret of her success—she lets her authentic self shine through.